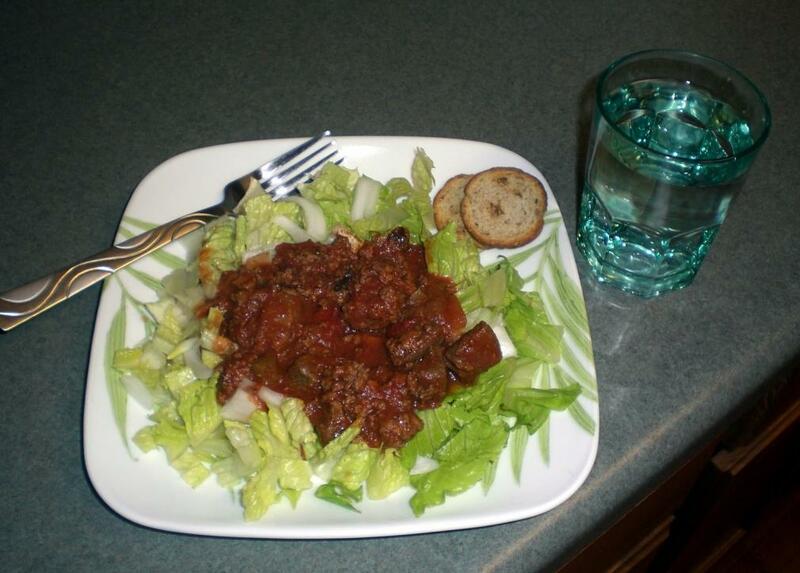 Easy Chili Salad - Hcg Diet Recipe Phase 2 | Hcg Diet Info... Recipes! 1Brown ground beef, add tomatoes and tomato sauce & water. 3Optionally, add little chopped raw onion into the chili, or on top as a garnish.